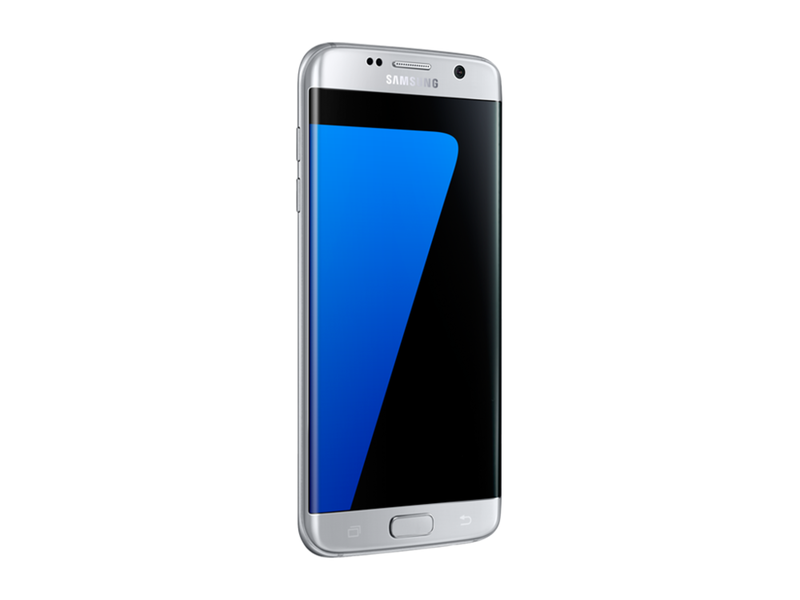 Visually, the Galaxy S7 phones continue along the chosen path: front and back are made of scratch-resistant Gorilla Glass 4, and the two surfaces are framed by an elegant metal frame. A side-by-side comparison with the Galaxy S6 devices shows that the glass edges are more rounded. The Galaxy S7 is also very comfortable to hold. Galaxy S7 Edge owners may need to be extra careful because the display comes with a stronger downward curve, making it more slippery than its sibling. However, both can survive a fall into water as the phones are IP68 certified and therefore water and dustproof. The two test models boasted flawless workmanship and the very highest quality. The physical home button that is typical of Samsung phones also blends perfectly with the premium look and feel. The button again houses the fingerprint scanner, which works very quickly and reliably once configured. 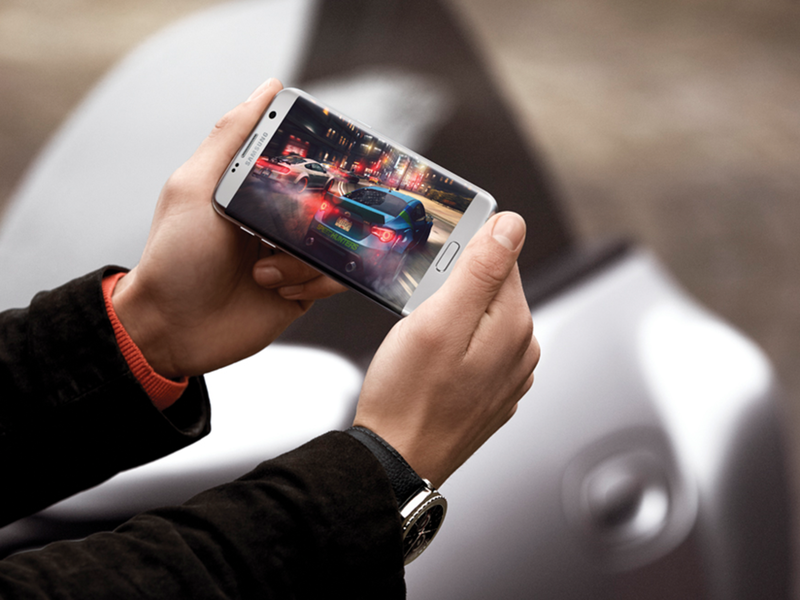 Both versions are equipped with OLED displays in very high Quad-HD resolution, albeit in different sizes. 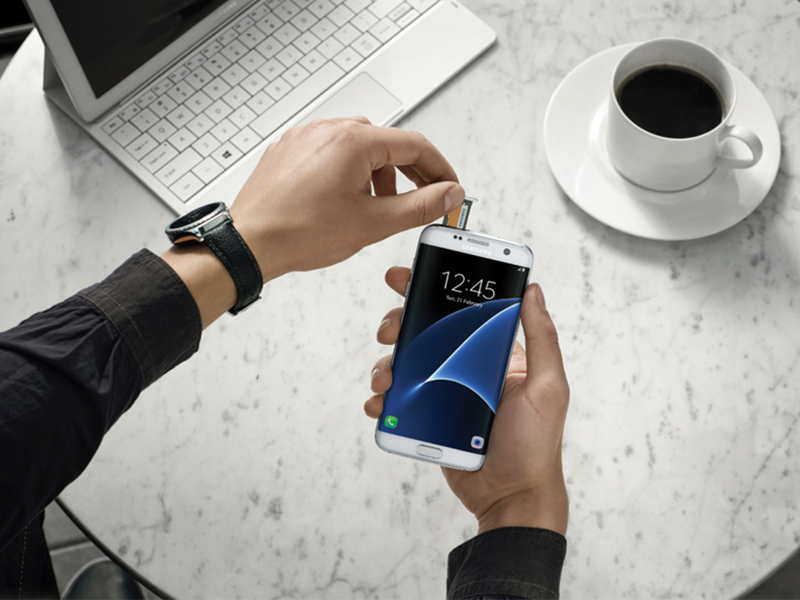 The Galaxy S7 Edge comes with a curved 5.5-inch screen with a pixel density of 534 ppi, while the Galaxy S7 offers a higher pixel density of 577 ppi on its 5.1 inch screen. The luminosity values are also impressive: the Edge boasts 486 cd/m2, and we measured 440 cd/m2 for the normal Galaxy S7, which are absolute top values for OLED displays. These specs doubtlessly guarantee excellent representation of any content in everyday use. Samsung also deserves kudos for its polished user interface, which has been greatly overhauled compared to previous models. The programmers have given the icons and especially the quick menu a more modern look. A new feature is the Always On display where you have the option of choosing between a clock, a calendar, or picture for your screen in power-saving standby mode. In the test bench, we liked the Touchwiz user interface that is intuitive, but still largely configurable. The interface Edge UX of the Galaxy S7 Edge also makes an additional area available to the user (see box right). What's more, the Samsung Galaxy S7 comes without annoying bloatware that hogs the internal memory. Speaking of memory: the two versions have 24.5 GB of free storage space available for users. This can be expanded by the re-introduced micro SD memory slot that sits together with the Nano-SIM slot on the front side of the smartphones. Also when it comes to connectivity, the two new Galaxy devices offer the full service package: LTE CAT.9, ac Wi-Fi with MIMO and Bluetooth 4.2. The excellent impression is only marred by the omission of an infra-red transmitter to control audio and video devices, and the slow and outdated micro-USB 2.0 port. The basic parameters promise top results for the endurance test, as the Galaxy S7 comes with a 3000 mAh battery, and the Galaxy S7 Edge even goes one better with 3600 mAh. The expectations were confirmed by the lab test: the measured display operation endurance of slightly less than ten hours for the S7 Edge and nine hours for the S7 are fantastic results. Talk times in any operating mode are also excellent. This is coupled with the clean acoustics and flawless transmission and reception values of the Galaxy S7. The Galaxy S7 Edge showed slight vulnerabilities however in UMTS mode.